There is much more to your eye examination at Hunmanby Opticians than simply finding out if you need new spectacles. Everyone's eyesight is different so we tailor the examination to your individual circumstances and carry out a range of tests to assess the health of your eyes. Your sight is your most precious sense and deserves the highest standards of professional care. Poor sight can also indicate the presence of potentially serious diseases such as glaucoma or macular degeneration or general health problems like diabetes or high blood pressure. Eye conditions often develop slowly and can be painless so you may not notice initial symptoms. This is why it is essential to have your eyes examined regularly. The sooner any problem is detected the greater the chance of it being treated successfully. We recommend that all adults undergo an eye examination every two years and the under 16s and over 70s should do so every year. 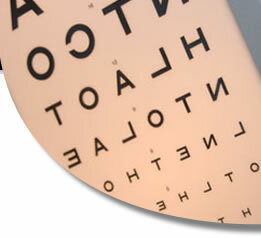 Other groups may also require more frequent tests - your optometrist will advise you as to when to return. Anyone who is employed to use alpha numeric display equipment for periods of one hour or more should have their eye examination paid for by their employer; this includes those who use computer monitors and shop tills. We can provide more details on request.